A. WHY YOU SHOULD READ THIS WEBSITE BEFORE YOU HIRE A FAMILY LAW ATTORNEY. A lawyer has many different functions during a divorce action including, among other things, those of advisor, negotiator, intermediary, and advocate. However, as the lawyer performs these various functions, he or she MUST operate under the rules of the legal system, which is, by its very nature, an adversarial system. The most adversarial attorneys are frequently referred to as “sharks” and are not interested in keeping you out of court. On the other hand, some lawyers have been trained in collaborative representation or as family law mediators or arbitrators. Their goal is always to keep the parties out of court and to reduce the adversarial nature of the divorce process. You need to know which of these kinds of lawyers would be best for YOUR case. This website will arm you with enough divorce law basics to make that decision. While the adversarial system works as intended when a crime has been committed or a personal injury has occurred, it is a destructive system for most families who are in the process of divorce. Obviously, if a couple has children, divorcing couples will have some kind of relationship for many years after the divorce is granted. The quality of that relationship, while perhaps the most important determining factor in how children experience their lives, will be determined by the degree of adversarial representation each parent chooses in the early stages of divorce. While the “law” has not evolved yet to a system that is appropriate for divorce, there are options that limit the damage done during the legal process. Collaboration, negotiation and mediation are all good options. But it starts with clients who know enough to ask their attorneys the right questions. How much more is it going to COST to go to court (be sure to include the cost of formal discovery, depositions, expert witnesses, and trial preparation)? Failure to ask these three questions has resulted in couples spending MANY thousands of dollars on litigation fees that far outweighed the value of the thing they were fighting about. For instance, let’s say you have a marital estate worth $200,000.00 and your spouse will agree to share it equally without going to court. You ask the right questions and your attorneys admits that your best case scenario might be $120,000 and your worst case scenario is the $100,000 your spouse has already agreed to. That $20,000.00 sounds good, right? But it’s a no-brainer. Your attorney also admits that you will spend a minimum of $10,000.00 more in attorney fees if you have to go to court and so will your spouse. So – if the judge awards you the midway point between what you want and what your spouse wants, you will have won just enough money to pay your attorney. On the other hand, If the judge awards you the statutory 50% ($100,000), then you and your spouse have EACH wasted $10,000.00 and two attorneys will each be $10,000.00 richer. Notwithstanding everything I just said, while the majority of divorces could be accomplished without the adversarial process, there are some exceptions to the rule. For instance, you need a litigation attorney if there has been physical abuse in the family, if one of the parties has been diagnosed with a personality disorder, or if either party believes the other is hiding assets. I hope the information in this book will help you select the right process and the right attorney. Your decision to transition from married life to single life may be difficult – it need not be the worst experience of your life and will rarely require litigation. 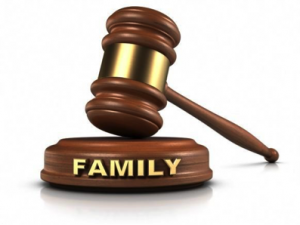 Family Law Litigation Attorney – An attorney who has limited his or her practice to family law matters and who represents one of the parties in a court of law. Good family law litigators will also be trained in non-litigation skills and will steer you towards the right strategy based on the facts of your case. Just be aware that litigation is far more expensive than any other means of resolving a family law dispute. Collaborative Family Law Process – An attorney trained in collaborative law represents one spouse while another attorney trained in collaborative law represents the other spouse. The parties and both attorneys contract, in writing, to collaborate towards a common goal without going to court. Family Law Arbitrator – An attorney who is trained in family law and will render a decision after hearing evidence without the necessity of going to court. While this process is less adversarial than going to court and eliminates the need for parties to air their dirty laundry in a public forum, it is still an adversarial process that pits one party against the other and leaves the solution in the hands of a third party. The parties’ attorneys may select the arbitrator for you or you may hire the arbitrator instead of two attorneys. Registered Family Law Mediator – A neutral person who is trained in mediation skills and family law. The mediator helps you reach agreements without going to court. 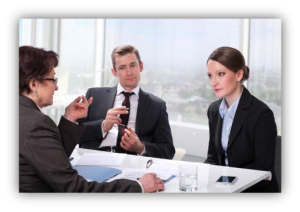 If the parties are represented by an attorney, the attorneys select the mediator. If the parties do not have attorneys, they select their own mediator. Pro-Se Divorce – A Pro-Se Divorce is one in which neither party is represented by an attorney. 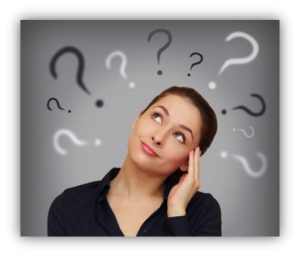 C. WHAT DOES A FAMILY LAW ATTORNEY DO? The decision to dissolve a marriage is one of the biggest decisions a husband or wife will ever make. Depending on the unique circumstances of each case, a good family law attorney will help you decide whether an adversarial approach is necessary or whether a collaborative approach is possible. In either case, the attorney must be knowledgeable about the law concerning property divisions, custody, parenting time, child support, alimony, spousal maintenance and many other factors related to divorce. Look for an attorney who will help you determine the best way to proceed while keeping your most precious assets, your children, out of harm’s way. A good family law attorney is dedicated to helping families settle their disputes without going to court. However, he or she should also vigorously litigate your case when collaboration, negotiation, or mediation is inappropriate. The attorney you hire should have extensive experience in negotiating and collaborating towards a positive outcome and should be able to testify from his or her own experience that families CAN and DO survive family law disputes when they treat each other with dignity and respect. As you are interviewing attorneys in search of the right kind of representation, be sure to ask what percentage of the attorney’s cases are litigated. That will give you a pretty good idea of whether the attorney is appropriate for YOUR case.